Latham took to social media, in a post titled 'latest defence force gender experiment', with claims the Australian Defence Force "watered down" the training requirements of the course for the two female graduates. 'What Defence Minister Marise Payne is not telling you: The two female graduates of this ADF 'Top Gun' program had their training and testing requirements watered down to get them through, solely on the basis of gender (as I wrote in the Daily Telegraph)," he wrote on Facebook. "This is how Payne runs Australia's defence capability: as an experiment in identity politics. I too wish the graduates the best for the future but realistically, there should be one set of rules for all fast jet pilot trainees, for a job as difficult and important as this." Defence has rejected Latham's claims, saying all graduates, female and male, underwent the same course requirements. "The Royal Australian Air Force graduated six fighter pilots from the Operational Conversion Unit at RAAF Base Williamtown last evening," the department said in a statement. "Like their forebears, it has been at least a four-year journey of academic, flying skill and leadership assessment. As has occurred in previous courses, some initial participants did not make the demanding standards set by Air Force. "All participants, male and female, completed the same course requirements. Any assertion otherwise is incorrect." 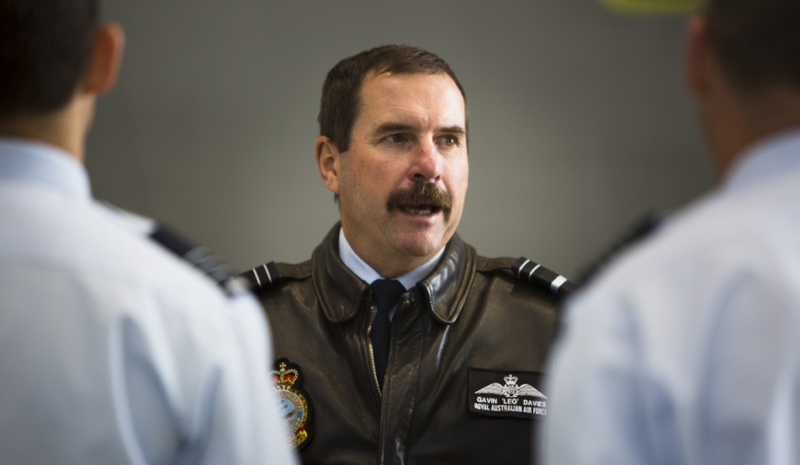 The Chief of Air Force Air Marshal Leo Davies stated that the requirements are stringent but have been proven on operations in the Middle East and in the world-leading exercises such as Red Flag. "Our pilots and crew are regarded around the world as worthy coalition partners of the highest calibre," he said. "As Australia begins to operate fifth generation fighter aircraft, our capability and reputation will only be strengthened by the application of our high standards. Our first two female fighter pilots excelled on course and have earned their place."